Happy Halloweeeeeen!!!! Huge Halloween lover over here - always have been, always will be! Eight-year-old me and twenty eight-year-old me both love any excuse to play dress up and eat candy......some things never change. Check my Instagram to see this year's costumes - Regina George with my friends and an 80s Hair Band Rocker at work! I honestly can't believe it is already the last day of October. I really wish fall in general lasted a bit longer (especially in Oklahoma). I love Christmas with all my heart but I hate how rushed everyone gets skipping straight to Christmas. I'm just as guilty, I'll turn the Christmas music on in my car any day now, but I'm also still trying to soak up all the pumpkins and leaves over here! I'm really excited for Thanksgiving - it will be my first Thanksgiving with my parents in several years (like....five?). I'm ready for my Grandma's Pumpkin Bread and my Aunt Karen's Pecan Pie! YUM. But for now, let's talk about my October favorites! I've been anxiously waiting for this post for weeks because there are SO MANY good things to share. Ribbed Long Sleeve Tee (sold out), similar here and here | Similar Scarf, also love this one! | "A" Necklace | Heart Earrings | Lips, color is Velvet Teddy | Braid Tutorial is on my Instagram Highlights! Hi, friends! I recently jumped on the eyelash extension train and have received so many questions about them so I thought I'd put a little review and Q+A together for you. Long lashes are all the rage right now; I tried so many of the lash options out there before giving extensions a try so I feel like I have a good perspective on it. Spoiler alert....my life will never be the same!! I've tried glue on strip lashes, magnetic lashes, serums, lash primer and even growth enhancing essential oils. My lashes were never short by any means, but they didn't wow anyone, either. I hated how heavy strip lashes felt (and sucked at putting them on), magnetic lashes were too "straight" on me (for lack of a better word) - I loved how they looked in photos but they didn't fit the curve of my eye and always stuck out on the edges. Serums and primer definitely helped my lashes look longer, but they were never very voluminous, partially because my natural lashes are a bit of a lighter color. When I first tried lash extensions, I wasn't sure if I would keep them up but now I can't imagine life without them!! I seriously wake up every day, look in the mirror and think.... "I woke up like this!" Hi friends! I haven't talked too much about it on here because I don't want to come off as pushy or salesy but I started using Young Living essential oils a few months ago and have really enjoyed it so far. I've had a few people ask me to share more about it, so here I am! I certainly do not think of myself as an expert AT ALL....I don't really even know what certain oils are supposed to do for you so I basically google and Pinterest everything haha. But I can tell you what diffuser blends smell good and what specific oils have helped me thus far! 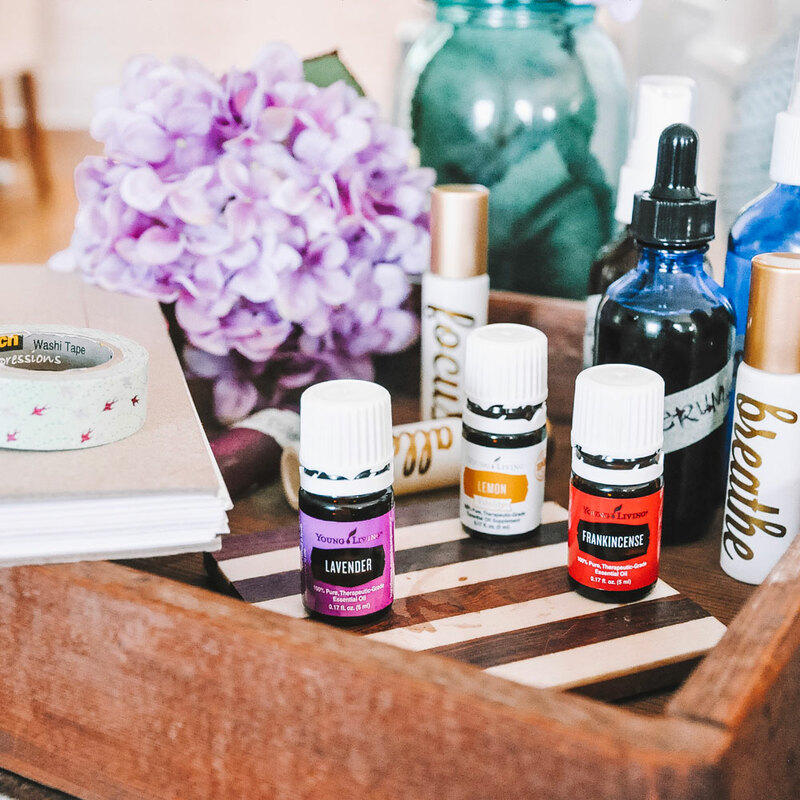 I'm going to start off by sharing a few of my favorite oils and how I use them and then I'll share a few of my favorite diffuser blend recipes! Sound good? Good! 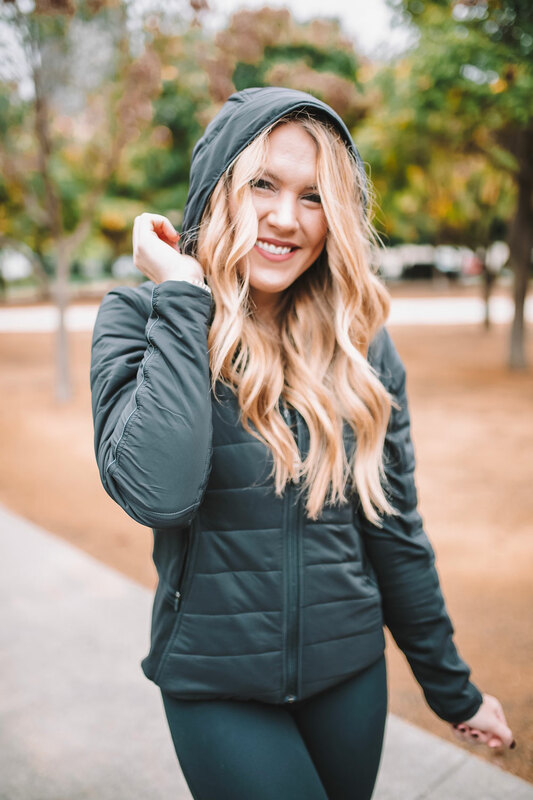 If you read my Friday Favorites life update post last week, you know I recently worked with Fabletics to create images for their website and social media pages. Basically modeling, I guess? I was so impressed that they are choosing to use REAL people as their models! Although it does make me wish I would have skipped my latest order of french fries so my stomach was a tad flatter in these pictures haha. But hey, that's life. Needless to say, I had always wondered about the quality of Fabletics. They have a great subscription service with fantastic prices, I adore Kate Hudson, and their pieces are so stylish and cute! I was always hesitant to give it a try, though. I am pretty picky with my leggings but after shooting these outfits and wearing some of them to the gym, I'm a Fabletics believer! Hi hello! Long time no life update! Mostly because life has been NUTS lately and I haven't had time to write one. It sounded so fun to plan two trips back to back (three if you count NYFW).... and it was fun but it was also hella-stressful! Cramming two weeks worth of work in before/between/after my trips meant I had little to no free time the entire month of September and all of October thus far. Literally, all I've done is werk werk werk werk werk to *try* and stay on top of things. I even bought WiFi on two flights to catch up on emails! Who am I?! Not to complain, though. 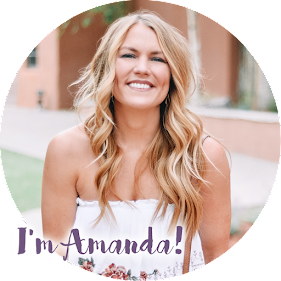 I am so grateful for everything that keeps me this busy: a have a full-time job that pays the bills, blogging that gives me so many fun experiences and teaching at Beyond which lets me share my one of my biggest passions (fitness) with others. So, now for the fun stuff.....let's begin! Every time I told someone I was going to Vermont, they asked me why....it kind of surprised me. 1) For obvious reasons, FALL! 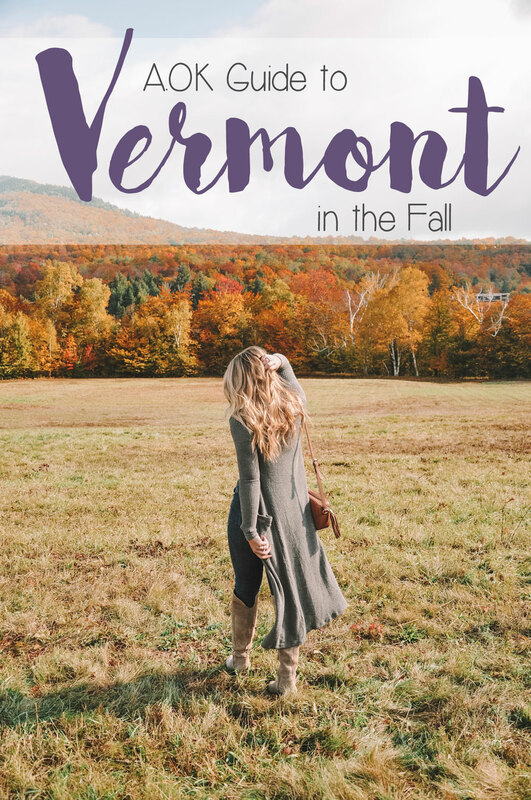 Vermont is every basic white girl's fall dream! 2) My mom grew up in Vermont so I wanted to see her hometown....it made the trip a bit more meaningful than some of the others I have taken. Vermont did not disappoint; it was seriously fall heaven around every corner! Apples, pumpkins, maple everything, changing leaves, historic homes....I loved it so much! It was one of those places that was so beautiful that it had me questioning why I live in Oklahoma haha. We visited both Manchester and Stowe (which is a ski town about 20 minutes outside of Montpelier, the capital and my mom's home town). I liked Manchester a teeny bit more but honestly every part of the state is equally as charming in it's own way - you really can't go wrong! Please take note on all of my suggestions below which city I'm referring to. I took a little travel break over the summer but jumped back in head first this fall! I went to NYFW with my girls a few weeks back and then C and I headed to Oregon for a much needed entire week long vacation. Normally when we travel, it's for a long weekend so we cram as much as possible into those few days. 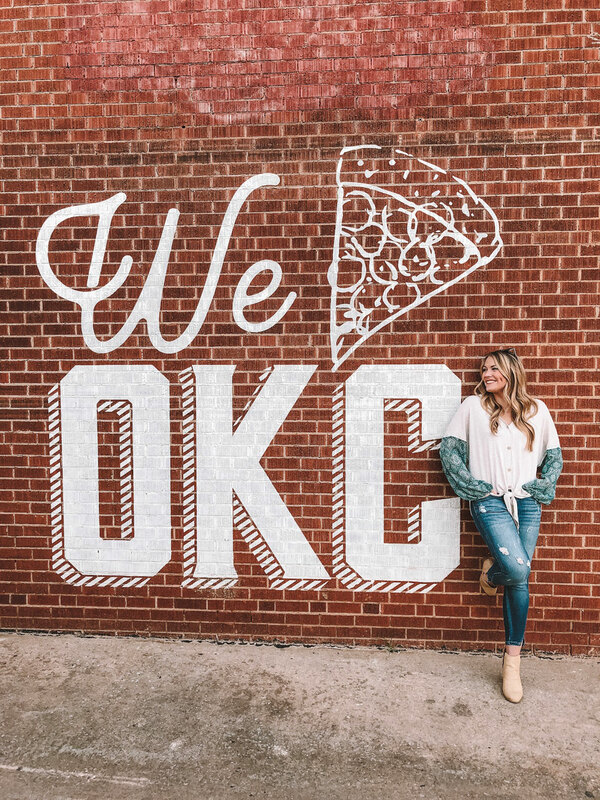 We pick out restaurants and make reservations, set an itinerary, wake up early and go go gooooo. This time, though, we didn't really plan a single thing. It was kind of nice! On top of that I didn't have service a lot of the time so I was forced to put my phone down and live in the moment. I've been to Oregon multiple times throughout the years because my aunt and uncle and two of my cousins and their families all live in Bend, Oregon. We stayed with my family throughout the whole trip and we just kinda winged it! 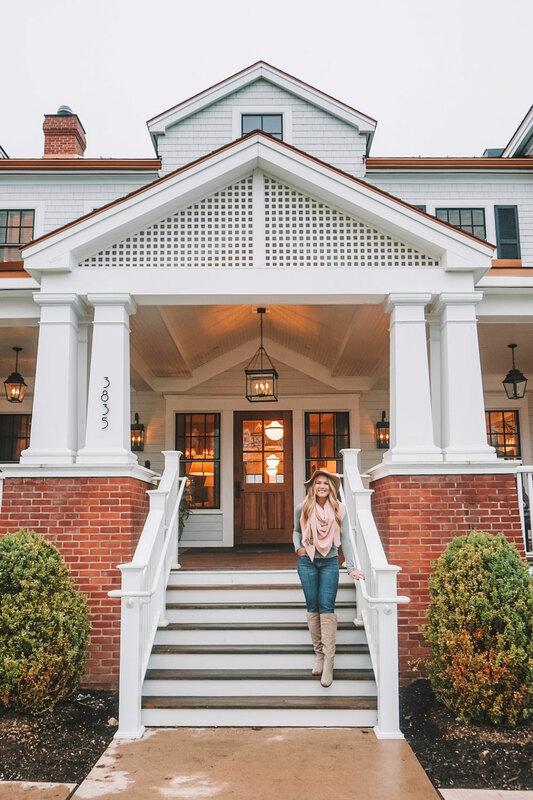 There were a few places that I'd been before that I wanted to go back to but besides that, we slept in, took our time exploring and relied on my family's local recommendations. It was a great time and I seriously love the Pacific Northwest so much - it's a place I could be happy living in (and I don't say that about many destinations). 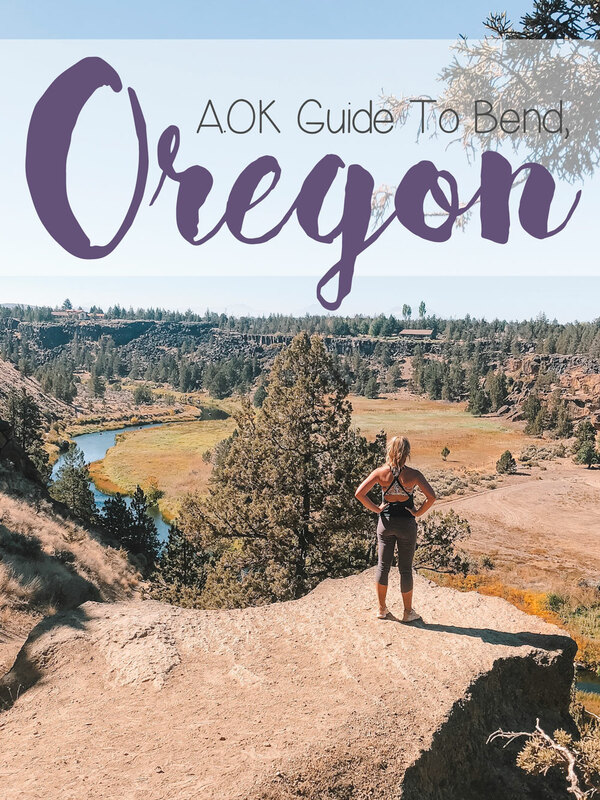 Bend is a super fun town but the entire state of Oregon is absolutely gorgeous - every corner of it has something different to explore and it would take weeks to see it all! BTW.... Sorry in advance about the lack of quality travel / food photos......I wasn't really in full on blogger mode since we were visiting family. Hi loves and Happy October! Long time no blog, huh?! I've been seriously slacking on blog posts lately because #life. I was sick, I was on vacation, I was trying to get everything else done somewhere in between it all....sometimes the world wide web just has to go on the back burner and that's OK. But this week, I'm back and I've got several posts coming your way! 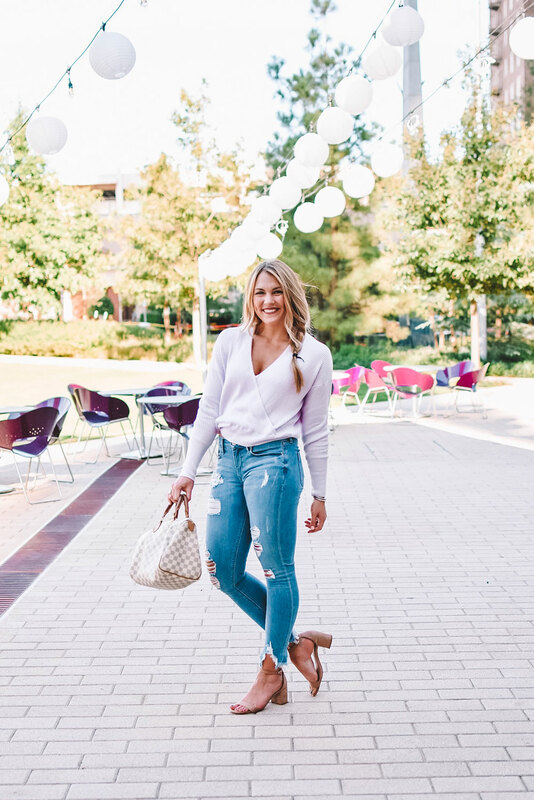 Today I want to share my top 5 skinny jeans! My entire life I've never ever found a pair of jeans that fit me perfectly. I'm very tall (5'10) and have muscular legs (quadzilla over here) and a big booty but a small waist. They just don't make pants with athletic girls in mind! However, recently I've found several brands that I LOVE and that fit me flawlessly! For reference, you can see photos of me wearing all the jeans at the bottom of this post.